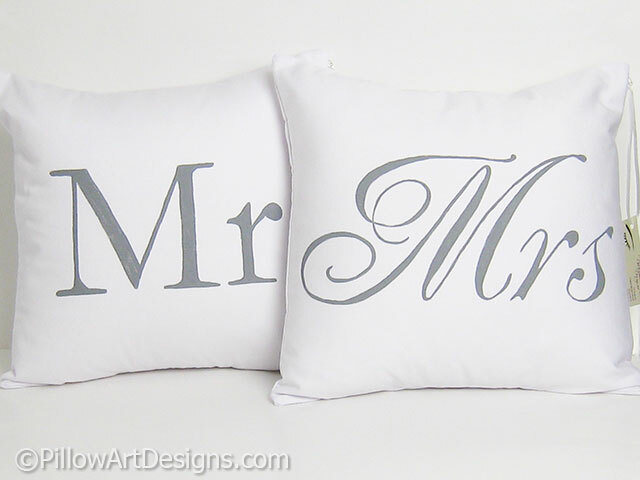 Mr and Mrs pillow covers in white cotton twill, Mr painted in grey block style font, Mrs painted in grey script style font. Covers are fully lined in white cotton polyester. Covers made to fit 16 X 16 inch inserts, inserts not included. 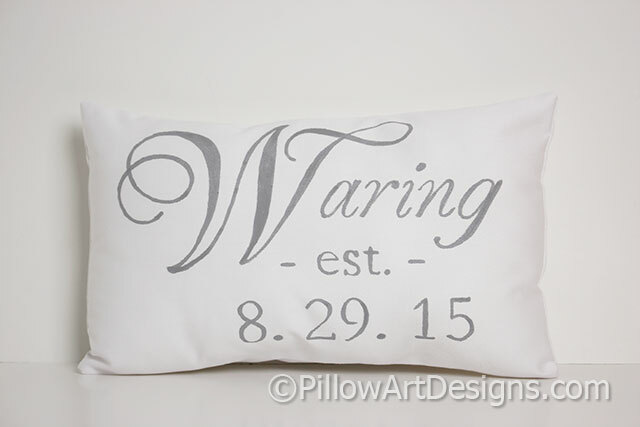 Small pillow measures 9 inches X 13 inches, features name and est date in numerical format, painted in stone grey on white cotton twill. 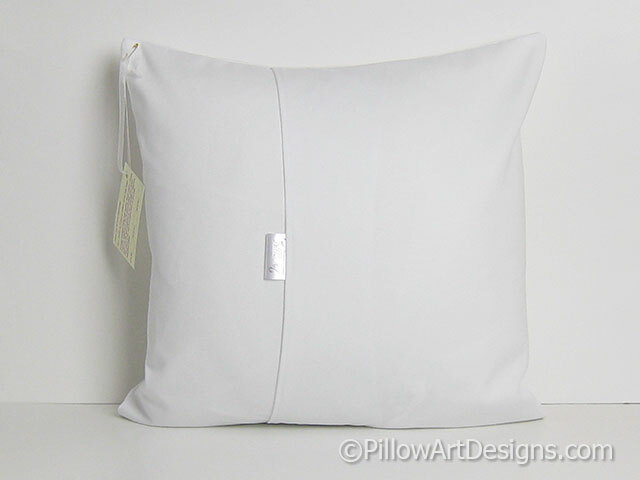 Fully lined with white cotton polyester and stuffed with hi loft polyester fiberfill, no need for an insert. 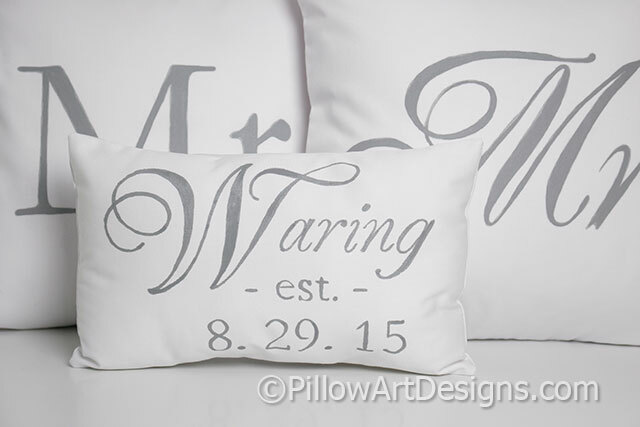 To order, simply purchase this listing and remember to send me the name and date you wish for the small pillow. Sending as a gift? Let me know and I will enclose a card with your message inside. Set ships wrapped in white tissue and inside a box.